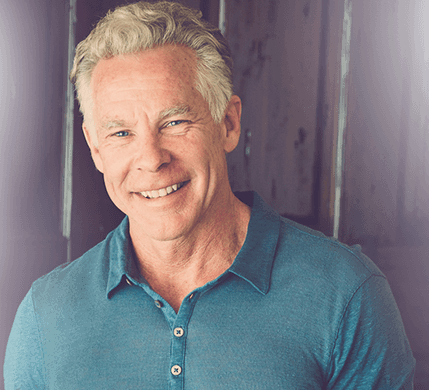 The Foodee Project is the brainchild of CrossFit Southwest owner Matthew Lucas, who, after fielding recurring questions from clients interested in Primal eating but clueless about what to cook, decided to create a simple resource cataloguing the best Paleo and Primal recipes on the web. Rather than overwhelm folks with hundreds of bookmarked recipes like a fanatic (you know you’ve been there, and you know how it doesn’t always go over too well), Matthew figured he’d give them the tools to discover new recipes on their own. So he did. Foodee is the result. Matthew’s Foodee blog is cool enough, drawing on the vast resources of the paleosphere to post a new recipe each day, but the best part of the operation is the flagship Foodee tool itself. It lets users search a single database comprising hundreds of Primal-friendly recipes from dozens of Primal/paleo blogs, and if you sign up for a free account, you can save recipes to lists, create itemized shopping lists using the automatic “Itemize” tool, and print, save, and email recipes and shopping lists. I’m really impressed with the site, especially the automatic itemization tool. After browsing all the features and getting acclimated to it, I spent two, maybe three minutes to produce a complete shopping list for a week’s worth of lunches and dinners broken down into sections, including “Dairy” (which includes eggs), “Meat Department,” “Produce,” “Oils/Sauces,” “Spices/Herbs”, and “Canned/Jarred Items.” I used the email button to send it to myself and all I had to do was open up my phone in the store and pull up the email. No copying, pasting, or scribbling required. Matthew is very clear on giving the authors credit for their recipes; when you select a recipe summary for more info, you’re directed to the external blog post responsible for the recipe. That way, the folks creating the content – the bloggers – get linkbacks and more readers, while Foodee users get more ideas for Primal and paleo recipes. The Foodee beta just went live last week, with even more features to come (and a few minor bugs still to iron out). Sign up for a free account and give it a shot. At last year’s PrimalCon, we tried to create an environment of inspiration. 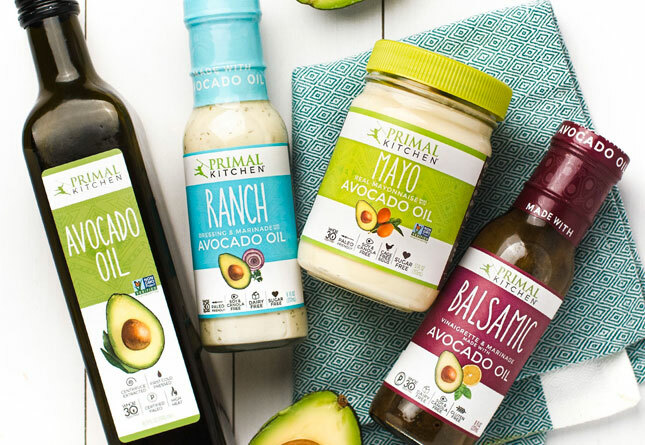 I figured that the more people saw that they weren’t alone in avoiding grains, legumes, sugar, vegetable oils, shoes, treadmills, and faulty Conventional Wisdom, the more they’d realize that going Primal isn’t a fringe lifestyle. Plus, when you’re surrounded by exuberant shirtless adults leaping, bounding, lifting, running, and stuffing their faces with grass-fed meat, it’s tough not to get inspired. One attendee, Kristin Jekielek, got inspired in an entirely unexpected way, though. While she expected to simply see a bunch of people from all walks of life living Primal, she didn’t expect that the vast majority of the attendees were self-employed entrepreneurs carving out a great life on their own terms. She was impressed and inspired to do the same. 1. Search for a restaurant. Over 300 of the nation’s (US only) top chain restaurants are cataloged thus far. 2. Pick a mealtime: Breakfast, Lunch, Dinner, or (depending on the restaurant) Snack. 3. Pick a paleo-ish meal. Each mealtime will have up to three meal options. 4. Eat relatively guilt free! 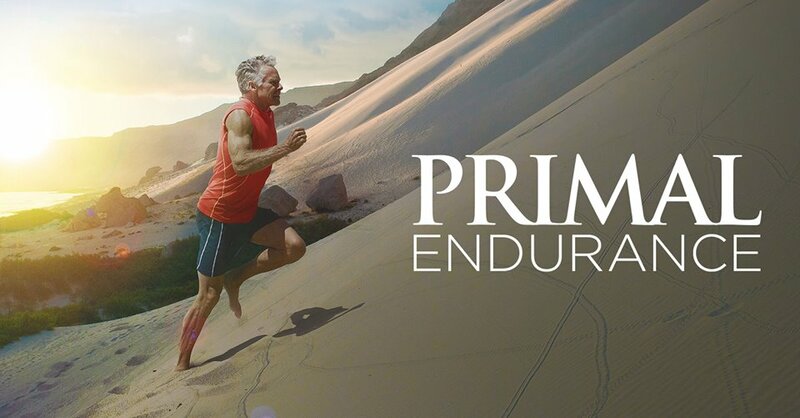 If you’re frequently on the road having to resort to questionable gas station jerky, or maybe you just want to support a fellow Primal entrepreneur, give PaleoGoGo a serious look. Oh, and you should probably have an iPhone (unless you REALLY want to support the cause). There’s also a Facebook page and an Android version coming in the first half of this year. Are you Paleo? Primal? Do you worship at the shrine of Weston A. Price (hey, I can think of a lot worse)? 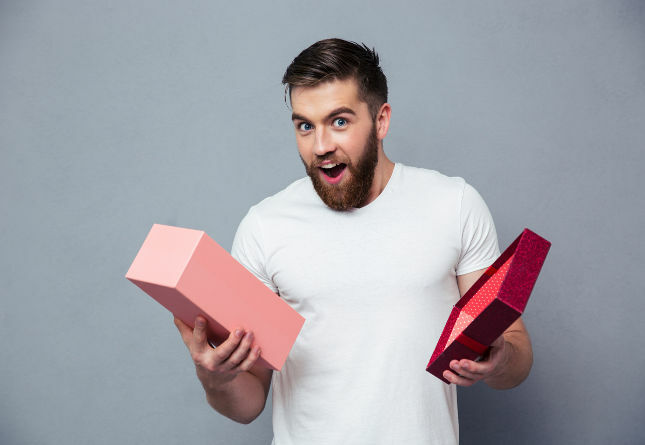 Or do you just like meat, seafood, or the occasional veggie, and lots of it, but are having trouble coming up with new ways to stuff it into your oral cavity? Then check out Chowstalker, a relatively new traditional/Primal/ancestral food recipe aggregator. 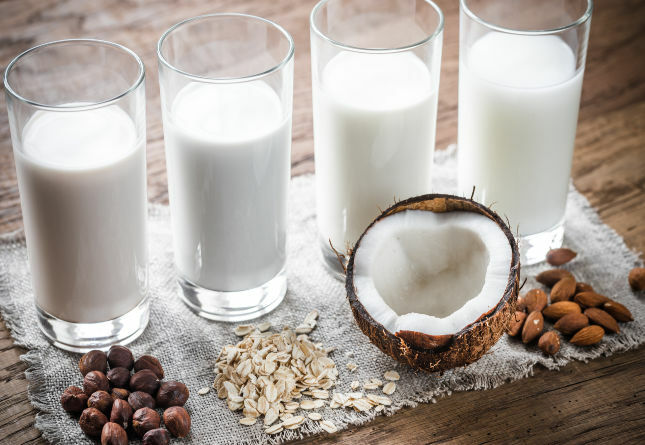 Recipes are broken up by “Beef,” “Lamb,” “Game Meats,” “Pork,” “Seafood,” “Poultry,” “Offal,” “Eggs,” “Cheese/Dairy,” “Vegetables,” “Mushrooms,” “Coconut,” and “Other.” You can also divide recipes according to “Special Diet”; included are Whole30, Egg-Free, Dairy-Free, Nightshade-Free, Gluten-Free, and even Vegetarian. If you want to submit a recipe to Chowstalker, it must be blog-based, it has to include good photos, and it cannot include grains, legumes, added sugars, hydrogenated or partially hydrogenated fats, or trans fats. It cannot be dessert. Also: no cupcakes allowed, even the non-grainiest, non-glutenist, almond meal-rific kind. As they say right there in plain language, “We don’t do cupcakes.” John Durant would be proud. If you ever visit the Immortality Institute forums, you’ll probably see the word CRON-O-Meter mentioned. 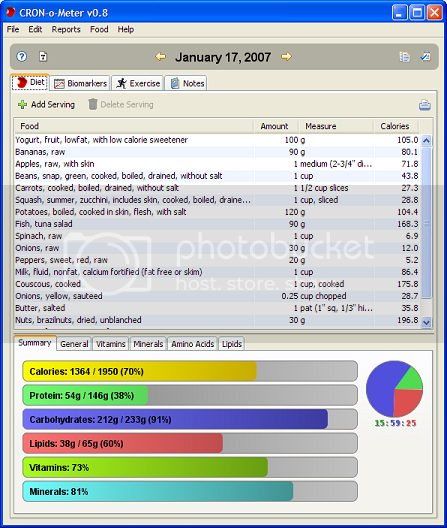 CRON-O-Meter is a free, open source, software based program designed to help you track calories, micronutrients (including vitamins and minerals), macronutrients (including specific amino acids, fatty acids, and carbohydrates) while plotting your intake against the current calorie restricted diet guidelines. So yes, it’s meant for folks obsessed with restricting calories for the purposes of life extension, meaning if you’re bulking up and consuming 4000 calories, mostly meat, the CRONometer might flash red and attempt to self destruct from all the methionine you’re eating, but pay no attention and worry not. I’m not big into counting calories or tracking nutrients, but if you are, CRON-O-Meter is a good way to do it. Eat half a pound of beef liver and see your retinol intake skyrocket a thousand percent! 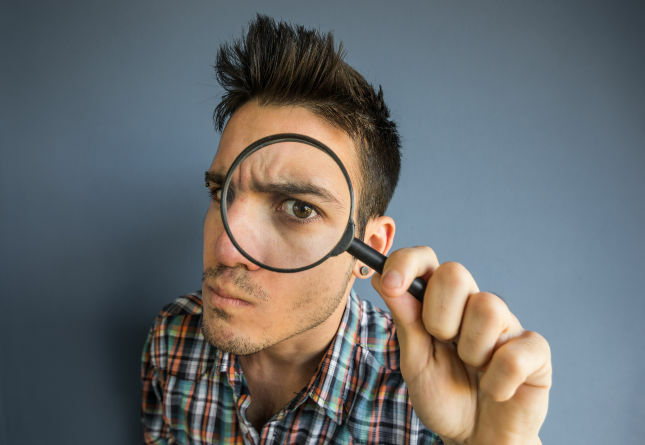 It draws on the latest USDA databases for nutritional info, so while nutrient content of various foods is notoriously hard to pin down with razor sharp accuracy, you’re getting the best info widely available. CRON-O-Meter is still in beta (and has been for years), but it seems complete enough. Take a look for yourself and see what you think. Reader and developer Renee Backe has just released a new iPhone app that makes following popular low-carb blogs easier than ever. 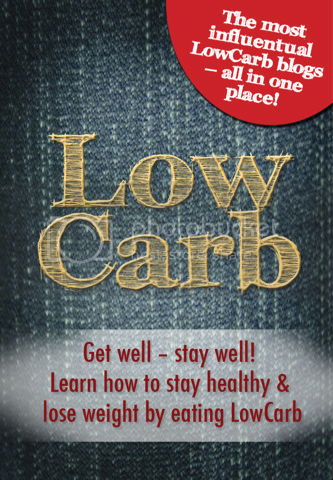 The Low Carb iPhone App (I like the no-nonsense name, personally) lets you track Dr. Eades, Jimmy Moore, MDA, Low-Carb Gal, plus a number of l0w-carb recipe sites. 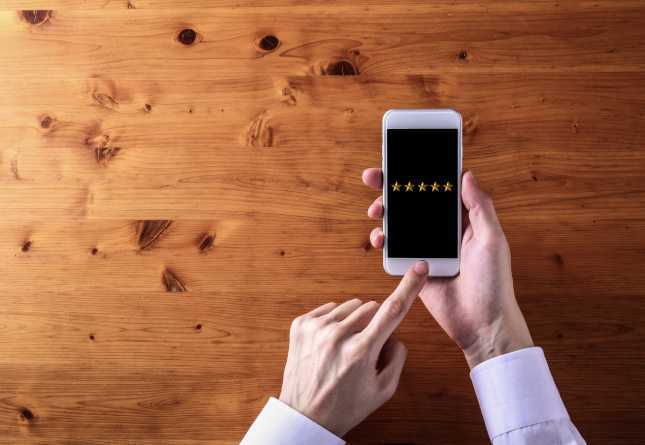 It makes for easy access to reading material while out and about, waiting at the doctor’s office, or stuck in line, and the app also provides valuable recipe ideas if you’re ever at the store without a clue as to what to make or buy. Fumbling through web sites on my phone or flipping through blog readers gets annoying. Maybe I just need to improve my thumb mobility (I knew I shoulda included that in the series last year), or maybe I need to stop worrying about reading blogs when I’m out. Ha – like that’s ever gonna happen. 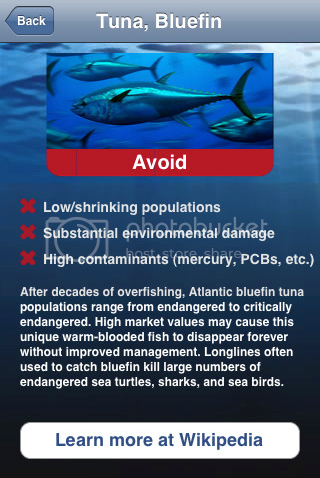 Safe Seafood is a 99 cent iPhone app that provides safety ratings for commercial seafood. If you want to see whether that piece of farmed tilapia from Vietnam is safe to eat, type it in. If you want to see whether farmed mussels from New Zealand are worth eating, look it up. It’s an extremely handy tool that any iPhone-toting fish-eater should have at his or her disposal. The only downside is that Safe Seafood hasn’t been updated since 2008, but I imagine the ratings still hold up fairly well. I was trying to decide between the Monterey Bay Aquariums “Seafood Watch” app and the Safe Seafood app. I went with the latter after reading how its creator, Tobin Fisher, incorporated the data from Seafood Watch when gathering content for Safe Seafood. Plus, the fact that Fisher gave positive “Green” ratings only to seafood that was low in contaminants and industrial toxins while Seafood Watch focused purely on the environmental sustainability of a particular seafood pushed Safe Seafood over the top. You know what? Seafood Watch is free, so you’re not losing anything by giving it a shot, too. This is a really cool one. Instead of butting in on your peaceful, deep sleep whenever it wants with a quacking duck, the “Imperial March” from The Empire Strikes Back, or a horrible bleating alarm, the Sleep Cycle iPhone app claims to analyze your sleep cycle throughout the night by tracking your movement patterns and wakes you up during your lightest sleep phase. See, when we sleep, we go through different phases, and each phase is accompanied by varying degrees of bodily movement. The Sleep Cycle app uses the iPhone’s accelerometer to track these movement phases so it “knows” the depth of your current cycle. You give the app a 30 minute wake-up window – like, say, between 6:30 and 7:00 AM – and by tracking your movement patterns it will wake you up within that time frame during the lightest phase of sleep. I’ve trained myself to wake up without an alarm clock, but I got a couple of the Worker Bees to give the app a shot. It’s got tons of great reviews, but I wanted to see if it actually worked. Their consensus? It works pretty darn well. It appears to wake you up when you’re prepared to wake up. You know how there are those mornings where you wake up on your own and everything feels right and you have energy and bounce out of bed? The Sleep Cycle app, while not magic or a definite sure thing, should give you a much better chance at getting an excellent wake up experience. I’d much rather entrust my morning wake-up to this intuitive, “smart” app than to an authoritarian, callous alarm clock. At only 99 cents, it seems like a good bet for a Primal eater trying to get better, more Primal sleep, too. See? While we often focus on the downsides of modern living, the upsides are magnificent and, rather than contradicting or opposing our Primal lifestyles, they can be extremely conducive to species-appropriate living. After all, they’re just tools, and toolmaking is what we do best. What are you favorite tools, sites, or apps? Let me know about any Primal-friendly high-tech tools I may have missed! I know this is probably the most Frequently-Asked Question about the sleep timer iPhone app, but does anyone know if it differentiates between your movements and your bed-partner’s movements? Because my bed partner tosses and turns all night. It does not. My wife will routinely set it off getting back into bed after going to the baby. 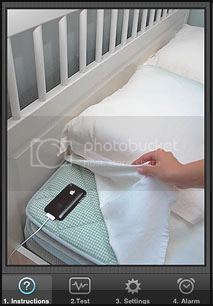 However, the closer you place the phone to the edge of the mattress, the less sensitive it will be to movement. I’ve managed to find a sweet spot that works pretty well most of the time. For a more appropriate John Williams wake-up tone, might I suggest the Raiders of the Lost Ark theme? Always puts the pep in my step in the morning. seriously! that paleogogo seems awesome! 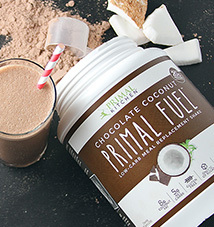 Anyone else think a “groupon for primal” foods would be a great idea? I am thinking grass fed beef, etc. I’ve used Calorific a bit as a tracker, though I really don’t track much anymore. Also, Gentle Alarm has modes that follow sleep cycles. I found one just like Sleep Cycle for Android called ElectricSleep. I had to play around with the light sleep trigger a bit but once I got it properly calibrated it worked like a charm. Your own fault – shouldnt have abandoned Steve…. Have a macbook pro with all the bells and whistles but had to go with android because AT&T rate plan and service abysmally inferior to T-Mobile. Unfortunately, with the imminent AT&T oligarchy purchase of T-Mobile, this may soon change. 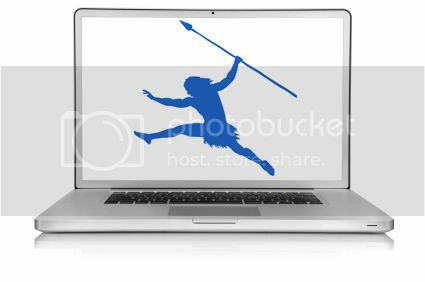 I’m starting a Primal/Paleo Radio Show! Details to come. I can’t wait to be on the air, sharing all of this great info, answering questions and speaking to some of you Apples! Get hyped! I know you were being flippant, Mark, and I’m not mad at you or offended, but when I see misconceptions perpetuated I feel moved to correct them. It’s a curse. You know, people scoff a lot about Luddites and equate them with a fear of machinery or modern technology but that comes from a lack of being informed about what the Luddites actually stood for. Luddites were not afraid of technology per se. They were afraid that specific machines being introduced in their time would take away their jobs. Personally I don’t see that inventing machines “to make life easier” when what you’re actually doing is cutting labor costs, which means fewer people will have paid work and will have to scramble to find some other way of making income, even though that new way of making income doesn’t really produce anything of value at all, is such a great thing. It’s pretty disingenuous of society to call people lazy when the specific gifts they have cannot be translated to paid work because some stupid machine is doing that work for them. This makes life particularly difficult for single mothers because a lot of the work they could have done at home while raising their kids has now been mechanized. But the jobs available outside the home to a single mother with no college degree mostly do not pay well, and Congress does not allow mothers to go to college in lieu of full-time employment for the purposes of TANF eligibility. There are consequences to looking to machines to solve every alleged problem. These are some of them. If not liking the way things have turned out makes me a Luddite, so be it. And I really don’t care what outsiders think of me just because I’m interested in Paleo eating and Primal living. If they want to think I’m an idiot or crazy, they can go right ahead. The price of complacency and a lack of curiosity is they stay sick and fat and miserable. Actions and beliefs have consequences. And they can solve the problem themselves by engaging a few brain cells and being a little curious about subjects with which they are not familiar. That’s on them. They’re all grown up. It’s not my job to save the world. Not really sure what your point was in this comment, aside from giving us a thorough and spirited definition of the term “Luddite.” You acknowledged the fact that Mark was being flippant (which I would really categorize as playfully ironic, if anything. But who’s splitting hairs? ), yet launch into an impassioned speech on your societal views, which only tangentially applies to the contents of the article, if that. Hold on. Let me find someone who wants to follow me around and count my macronutrients, alert me to mercury poisoning in my seafood, curate my list of restaurants, or wake me up at the lightest point in my sleep cycle. Assuming, of course, that those are real occupations in the first place, and that someone would want to fill them. I don’t think any of us reading this website are blind to the potential pitfalls of modern technology. But thanks for letting us know your stance on the matter. Final note: Unless I’m wrong, every one of those apps costs money, whatever little, that goes to real people as payment for their job, a position which was only created a few years ago. Does this new way of making income produce anything of value? Luddite has come to mean something independent of its specific origins. In this instance, the usage was appropriate. Not sure about placing a cell phone next to my head, or near my body all night long! My phone stays in the kitchen overnight; now if they could bring out an app for it to get breakfast ready for me then I’d be interested! You could put it in airplane mode so you don’t have all the micro/radio waves penetrating your skull all night. Being primal frees me from the clutches of the closed system of the UDSA guidelines. Being Android frees me from the clutches of the closed system of the Apple Store. Why, on a site devoted to individual freedom are we posting apps for a system that is about anything but? … uh, perhaps because they’re topically relevant? I agree and am very surprised that a website supporting the freedom of a small farmer would freely discard any digital freedoms and the freedoms of a small developer. Though that’s neither here nor there. There’s a “Smart alarm clock” app for android that tries to wake you up at the right time. I’m not a techy or app developer but I’m pretty sure any app developer can make something for the iphone. Also, how come android people have such distain for apple products? I never understood it. I happen to like both Apple’s OS and Android very much. I used to be an Apple fixit guy and LOVE Apple products but Android is pretty awesome too. Not really. It’s actually somewhat complicated to get an app in the apple store. First, you HAVE to use a Mac to do your development. Second, you have to purchase a developer license ($99/yr). And third, Apple has to review and approve your app once it’s done. I don’t have a disdain for Apple, heck we have an iPad, my wife has an iPhone, and we own stock. But I’m not willing to buy a new computer and pay a subscription fee just so that I can contribute something to their store. On the flipside, to write an Android app you just download the toolkit (for free, and runs on mac/pc/linux), write an app, and publish it in the market. That’s it. Personally, I really liked the “Sleep Cycle” app. I bought it about a year ago and used it for a week. Very enlightening. For sleeping with a phone ‘next to your head’, the app suggests that you put the phone on “Airplane Mode” and voila, no harmful radio waves. Problem solved. A cellphones transmitter actually does not produce any ionizing radiation and has no effect on the body. In fact you get more radiated from eating a banana then using a cellphone. Just food for thought. Lard slicked lip!!!! I can’t stop laughing! DailyMile is another great online tool for tracking running, weights, and cycling. The best thing is that there is an awesome community behind it that supports you the whole way. where is the Android love???! Great post! Very cool that entrepreneurialism has been sparked! You’ve mentioned it in the blog before, I think, but since this is a tech tools post… There’s the “f.lux” software (click my name for the link.) It automagically dims your computer screen in the evening so the light is less likely to interfere with your sleepiness. Doesn’t dim exactly, but rather changes the color temperature to the red end of the spectrum, avoiding the dreaded circadian-busting blue light. Works great too. I’ve had much less insomnia after installing it. Thanks for the link – love the way f.lux is looking right now!! Much easier on my eyes, esp. in the evening. I just started using CRON-o-meter and I love it. Its about a thousand times better than fitday, other free nutrition software, and even the stupid software I bought for my nutrition class. LOVE the foodee project, just signed up and it’s so awesome! Can’t wait for them to add more recipes. Indeed! Speak for yourself, I loooove my I-phone and there is no love lost for the blackberry either. Just to be clear, I’d totally wear a loincloth if I could get away with it. Kilts are about as close as I figure I can come. Beside, a loincloth leaves me nowhere to stow my Droid. Meant to say Kilt with Sporran. Stores the wallet and phone… Plus barechested in a kilt with vibrams, turns heads. Would also love to find out about some iPad apps too! 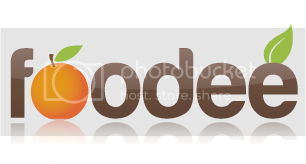 Just checked out Foodee and Chowstalker and they looked pretty awesome! Great post! I’ve used Sleep Cycle (not every single night, but a lot of the time) for the last year or so, and I love it. It works great for me. There’s a free iPhone/iPod Touch/iPad app that I created called Primal Feed that aggregates several paleo blogs (including this one) and provides a full search capability. Love all of these technology tools. I have heard of paleo go go before. The sleep one sounds pretty damn sweet. When I get my iPhone 5 this year I will without a doubt be getting some of these apps. Thanks Mark! If you go to the itunes store, you’ll see several reviews showing the sleep app isn’t worth it. If you put it on a dresser, it’ll give you a sleep pattern even though there is no turning. It makes things up. All placebo. Jenny…thanks for the f.lux link….love love love the color of the screen now. The Foodee Project looks great, thanks Mark! My preferred way of waking up is by my dog…every morning like clock work he wakes me up with face licks at 730am…good boy Sherman!! I am a WebOS guy, but for you I-people, there is another sleep app that uses a wristband to monitor your sleeping patterns. Ugh, I-Phones. I love being a techno-cynic, so i will just say that they are the most worthless pieces of crap ever to come out of our deep-seated, sick obsession with cheaply made, expensively sold techno junk. Stephen Fry says,’It is a rare thing of beauty’….Oh really? I didn’t know a rare thing of beauty could be found in the pockets of millions of gullible, sheepish consumers! Wow! then of course the same sheep will go any buy the latest version of the thing, just so they aren’t ‘missing out on anything’. The next time anyone starts talking about their I-phone within the context of a social situation, i will just slowly, ever so slowly, walk away, backwards, staring them in the eye. A look which will denote a full spectrum of emotion, ranging from sheer pity to outright disgust and moving swiftly on to empathy. Empathy for the lost soul who has nothing else to do, to say about life, other than,’Hey look what my I-Phone can do’. As i said, i love being a cynic about technology. It gives me a superiority i just cannot find anywhere else. Adieu. Cool article Mark! Always a pleasure to read about your fascinations. Light switch (!) – turn the lights down low an hour or so before going to sleep so that the brain notices the lights are low and it’s time for Sleepville. Sometimes I find that keeping to the basics works best in the long run. Too much tech can turn your attention away from the here and now. What about the Body Bugg/Go Wear Fit. You wear it on your upper arm. It measures many things including amount and quality of sleep, exercise intensity, calories burned and pedometer. It also has a food and weight log if you like to keep track. 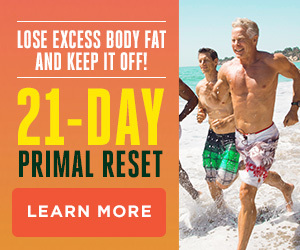 Mine has recently been showing me that on Primal my metabolism is increasing and my sleep is better. Wow – The app that helps you wake up at the right time is definitely worth a punt. Does anybody know how much it is? I’ll check the app store later. I know exactly what you’re saying when you sometimes wake up feeling great, whilst you feel a little worse for wear on other days even though you’ve had the same amount of sleep. I can relate! What techniques did you utilize to train yourself to wake up at certain times? WOW! I’m going to try out the sleep cycle! Awesome. I’m one of those few “paleo-romanticists eschewing all things new”. I agree that some technologies are magnificent, but only in the sense that they *improve* the conditions of some people being forced to live a modern life. At its core, though, a modern life causes more harm than good, and none of these technologies would be necessary if our life-style were different. An iPhone app can wake one up at time that’s more natural to our bio-rhythm, and is a great help to making one’s modern life better or more comfortable, but life in the modern world will always remain the same: busy, hectic, sleepless, polluting, wasteful, boring, and with a lack of quality free-time for friends and family – and no technology will be able to change that. Sleep cycle is especially useful when traveling. Yes, you are supposed to calibrate it. But you often get away not. Someone else on the bed….well, again not perfect but works about 75% of the time. I do wish they had a setting to automatically set the alarm for SUNRISE. Love sleep-cycle, love my iphone, love Marks’ Daily Apple. Love being Primal, love being 21st century. Sleep cycle looks great. Thanks for putting this list together. Lots of new apps to give a try. They are incredibly smart bunch, and investigating all sorts of ways to optimise our health. What is incredible is many adopted a Paleo diet many years ago, without having come across it formally. 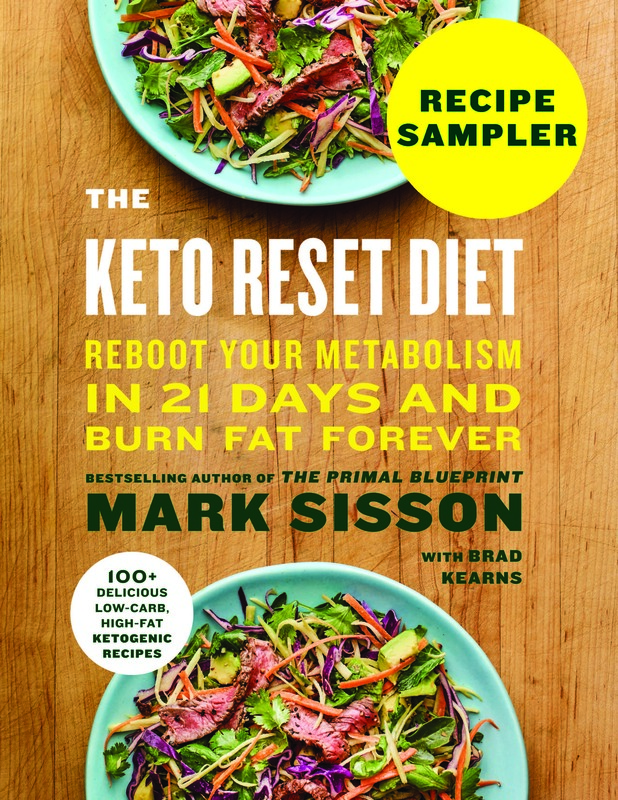 They just used good scientific reasoning, combined with evolutionary history, and most importantly precise measuring of their health using the commonly known biomarkers (insulin, glucose, cholesterol, crp, inflammation, etc) to fine tune their diet over years of experimentation and discussion. Lastly, the Immortality Institute are big on supplements, which can seem unPrimal, but we must remember Mark highly recommends a quite comprehensive supplement regimen (damage master control formula), which he no doubt developed from time spent on forums like LongeCity. Go have a look around, you won’t be disappointed! I love my iphone and the app sounds good, seen it before. but I don’t fancy having electricity right by my head all night. the sleep cycle app, I can’t recommend it, until it’s changed so you can lock the screen whilst continuing to function. I have put costa rican songbirds as my alarm sound on my iphone, this works perfectly, lowly waking me up, not abruptly. Here’s an Android app I wrote called Tabata Sprinter, which helps you keep track of time during Tabata sprints (high-intensity interval training). It has adjustable sprint/rest interval times and number of sprints. And it stores a record of your sprints to the internet (only if you ask it to), so you can check and see how often you’ve been doing your exercises. Very cool post. The Foodee Project is wonderful! Oddly enough, I find that if I *set* my alarm clock, I will sleep right through it *and* end up oversleeping! Apparently, knowing I don’t have it to rely on, keeps my body waking as needed. Ugh I hate it that apple store wont let me buy this because I happen to live in The Netherlands. What business is it of their where I am and what I want to buy? Regarding Sam Thayer’s book, he’s got articles on his website, too. You can buy both his books there, plus a DVD.